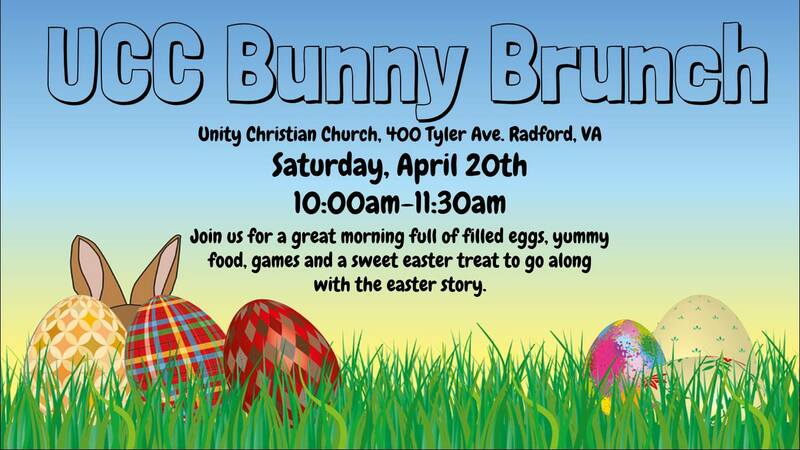 Unity Christian Church of Radford presents their 2019 Easter Egg Hunt and Bunny Brunch on Saturday, April 20, 2019. Join for our annual Bunny Brunch. Enjoy a great morning full of filled eggs, yummy brunch, egg hunt, games and treats along with the Easter story. Unity Christian Church is located at 400 Tyler Avenue in Radford, VA.
To view the event flyer, visit: https://i.imgur.com/JpKtRR8.jpg. For more information, visit: http://www.unitychristianchurchradford.org/ or https://www.facebook.com/UnityChristianChurchofRadford or call 540-639-3696.